Getting Outside Of The Box - Not Just Thinking Outside The Box ! Recently I had some big changes in my life, leaving a very busy and unique position at a local internet marketing agency to start my own small business. I had so many ideas pinging around in my head and was so unsure when I left what my direction would be, that I turned to a personal coach I know and highly respect for some guidance. 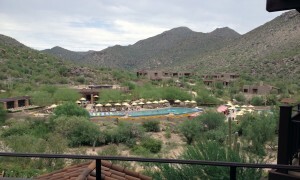 One of her suggestions was to consider the Jack Canfield Breakthrough to Success workshop in Tucson Arizona. Amazingly, it worked out that I was able to attend this event in early August. Making this huge trip by myself to a location I had never been was kind of a big deal for a small-town gal like me. It was a lot of money and the timing certainly wasn’t what I would normally consider ideal, but I took the leap and did it anyway. I’ve always loved change of almost any kind in my life…sort of that “don’t sit still or you won’t get going again” philosophy. 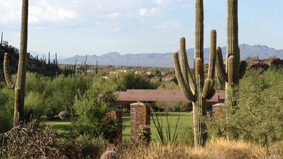 The most important part of the experience I had in Tucson was unique in that I was able to remove myself physically from the hectic emotional environment surrounding my job change, feelings of insecurity about my path and the blocks I seem quite adept at putting in my own way. The hotel was spectacular, situated in a private location in the desert, and everything was perfect from beginning to end. The daily workshops were long and focused, so the short evenings were spent socializing with other attendees over dinner, and a super-early bedtime. The time change was just enough to cause me to awaken early sans the alarm clock, making me the first and only person in the pool at 5:00 a.m. almost every morning, swimming and drinking in a spectacular view unlike anything I have ever been used to. 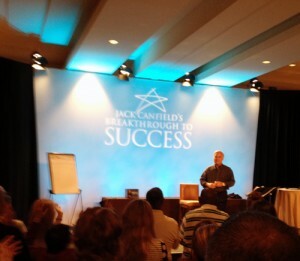 Jack Canfield was amazing…the workshops created more questions for me but gave me ways to find the answers. I returned home with a more focused approach to my intentions moving forward both for my business and personally, a fantastic Mastermind group to keep me focused moving forward, and most importantly – a feeling that anything is possible if you just open your mind and heart to it. The people I met during my trip gave me a completely different outlook on where I am at this time in life, and helped me recognize that the journey is just beginning. That getting out of my environment and spending time not just thinking outside the box, but getting outside the box is probably one of the most valuable things I could have done. It’s hard to think logically and clearly when your head is full of questions, doubts and fear; stilling those mental jackrabbits paid dividends upon my return home that I could not have imagined. So…if you’re thinking about an encore career, changing your job, going back to school or just feel as confused as you did during adolescence (God forbid! ), getting outside of the box and looking around can be a huge benefit. For me, listening to others with clearer minds than mine gave me some amazing rewards.